The Nero STREAM XD Wireless DAC/Streaming Amplifier ($299.95 MSRP) offers updated technology and more convenience over its predecessor, the Nero-XD. Based on Class D amplifier technology (50 watts x 2-channels of solid power; 200 watts peak power), it gives users a compact but dynamic 2.1-channel wired and wireless streaming music solution. The amp’s wireless streaming solutions include Wi-Fi and Bluetooth 4.2 with aptX. The Nero STREAM XD also features a Cirrus Logic CS8416 24-bit/192kHz digital-to-analog converter (DAC), a companion app interface that can be downloaded from either the iOS App Store or Google Play to your favorite mobile device, and a hard-button remote control for simple pushbutton operation. Connectivity solutions include a stereo RCA analog line-in input, a TOSLINK digital optical input, a USB input, as well as a subwoofer output, gold-plated speaker wire binding posts, and a 3.5mm headphone jack. 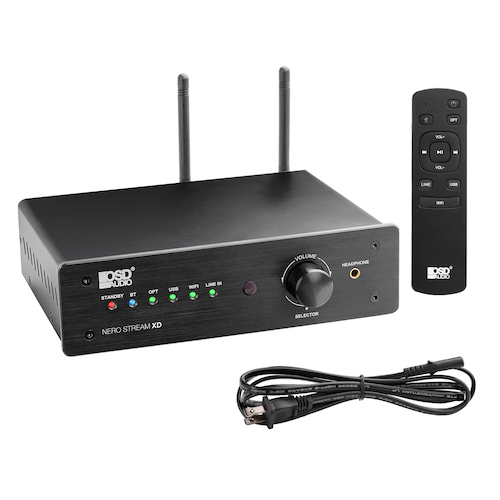 Nero STREAM XD Wireless DAC and Streaming Amplifier allows users to more simply connect to a digital source via Wi-Fi or Bluetooth and stream their favorite music services, podcasts, or internet radio stations all via a simple-to-connect and control, app-driven solution. 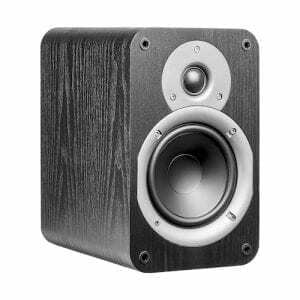 OSD Audio’s Nero Studio5 speakers were designed for a true monitor-grade performance at a budget-pleasing price. With a 5¼-inch woofer, 1-inch silk-dome tweeter, and a bass reflex design with tuned port on rear of cabinet, the Studio5 Monitor Speakers ($199.95/pair) is intended as a desktop near-field monitor for music, podcast, or video production (or listening), or a shelf-positioned speaker for room-filling music listening. Both products are available now at www.osdaudio.com.